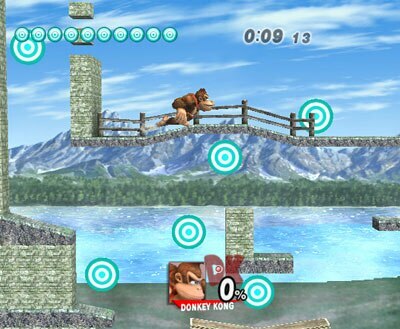 A target-breaking mode has appeared in every game in the Smash series. 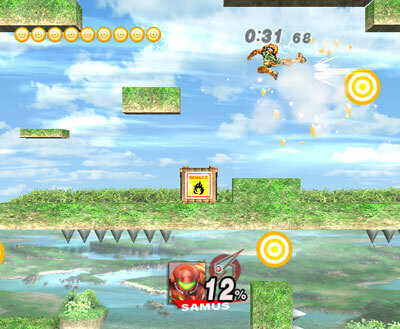 It’s a mode that challenges you to break ten targets within a given time limit—basically, a game for those who salivate at the thought of speed runs. It’s outdoors now, giving it a refreshing visual appearance. This time, there are five different maps of varying difficulty—challenges you can take on with your favorite character. 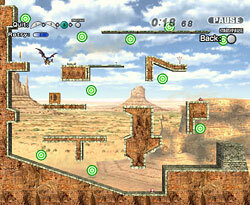 Each of the five maps is distinctive. Some levels have items as well, so you may be able to use them to cut your time even more. 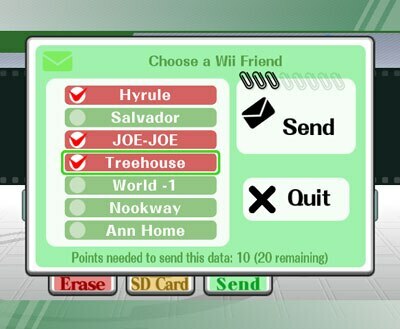 Use all of your character’s skills to beat your own personal records! This is the pause screen. If you fail, you can pause the game and try again. You can also confirm the overall layout by pausing. This time, you can view replays. What this means is, the game records what you did in brawls or in Target Smash and lets you review it. You can record about three minutes worth of replay data. 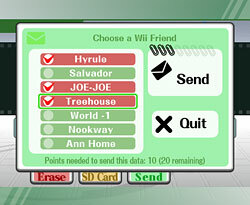 And it’s even possible to send replays of your most amazing times to Wii Friends! 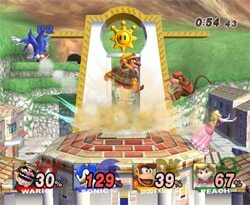 If you compete against each other, things will surely heat up. It feels great to use all of your knowledge and techniques to shave off a hundredth of a second. But you don’t have to do that to enjoy these features, so I hope you’ll give it a try regardless.